We are often to be found rehearsing for our next stage production on Monday and Wednesday evenings from September through to May. This is the main venue where we perform our amateur dramatics productions. 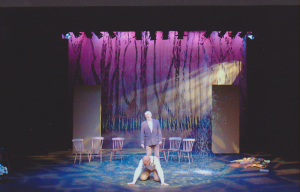 Many skills are involved in putting together amateur dramatics productions; not just acting, but also directing, set design, set construction, controlling lighting and sound and organising props and costumes – and this is not a complete list. 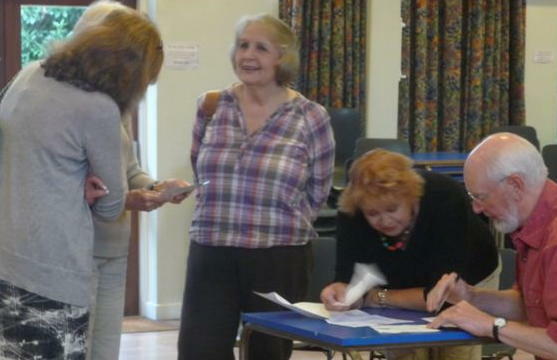 In addition to the production of plays our programme includes occasional social events – such as an annual barbecue, a Christmas dinner, play-readings and theatre visits. Some of our members are friends of long standing, while others have been with us only a short while. They encompass a full range of talents. 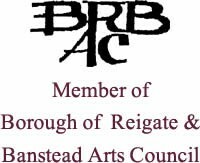 Some also act for other local drama groups which are on our links page. We are always on the look-out for new members for St Marks Players. Enthusiasm is just as valuable as ability. Whether or not you wish to act, you will have plenty of opportunity to contribute, whether on stage, backstage or front of house. We are currently looking to expand our technical team, so enquiries from anyone with experience in or keen to learn about stage management, sound and lighting will be especially welcome. 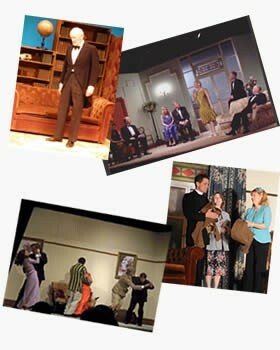 If you would like to get involved with amateur dramatics or to find out more about St Marks Players, do get in touch. Click on the ‘Contact Us Page‘ above, telephone or send us an email to contact@stmarksplayers.co.uk. St Mark’s Players (‘we’) hold contact details (including email addresses) for members as well as for others who we think may be interested in our activities or in attending any of our productions. We do not disclose that information to other organisations. You can contact us through this website using the email facility on the ‘Contact Us Page‘ or alternatively by emailing us at contact@stmarksplayers.co.uk. We will remove a person’s contact details from our database upon request.